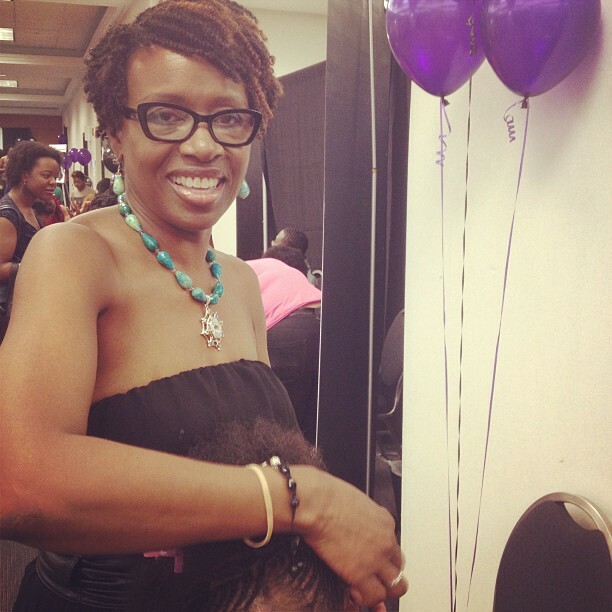 HomeHairSheaMoisture Styled by Diane C Bailey – Black Hair Kitchen Expo 2013! Pioneer, Advocate, Writer and Teacher who inspires women to embrace their texturally diverse hair. My Review: I had the pleasure of being a model for SheaMoisture and getting styled by Diane C Bailey a phenomenal and award winning Natural Hair Care expert at the Black Hair Kitchen Expo 2013! She styled my hair on stage to demonstrate how you can style and use SheaMoisture products. I have never had my hair smell sooo good that even my mother said my hair smells like candy! See below the products used in the demo and pictures of the outcome. Enjoy!